Lots of credits are out, Interiors are in, and we’re seeing our first direct measurements of carbon in LEED. LEED O+M v4.1 will go into beta testing for several months before the public comment period and balloting. 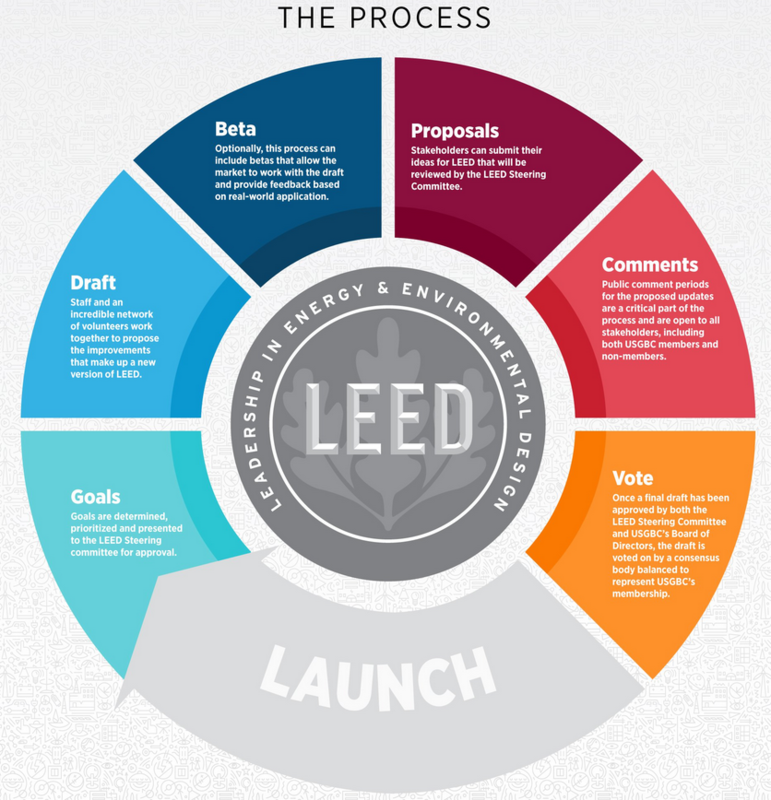 See the full infographic from USGBC. The U.S. Green Building Council (USGBC) has released a first draft of LEED v4.1 for Building Operations and Maintenance (LEED O+M). If approved by the members, this new set of rating systems will represent a radical shift in how LEED measures the performance of existing buildings. Together, these prerequisites make up 90 of the 100 points available—changing the structure of the rating systems such that prerequisites come with points. Energy Performance, for example, gets you from one to 33 points, depending on your energy score. According to Baker, there is not yet a data-based pathway for Sustainable Sites—which has been reduced from ten points to four points in this draft. Another big change: there is now an O+M: Interiors rating system. “Because we’re now looking at scoring based on data, it will take into account the space versus the whole building,” said Baker, who noted that the USGBC headquarters has already been piloting this path. All the typology-based rating systems from v4 have been jettisoned, though, so no more separate systems for Schools, Warehouses, etc. Differences among these building types are just dealt with in credit-by-credit requirements. Smaller changes in the system include saying goodbye to Regional Priority and Exemplary Performance. And the Innovation category is a lot simpler—but it’s also only worth one point. As anticipated, USGBC is doubling down on the Arc platform with v4.1. Baker explained that users will still use the familiar LEED Online data entry tools, but Arc will be running in the background to do the scoring. If the performance-based prerequisites are the backbone of the rating systems, Arc’s novel scoring systems are the spinal cord. The system takes your building data and benchmarks it against that of a cohort of similar buildings. Benchmark, did you say? I thought we were already doing that! Users accustomed to the Energy Star Portfolio Manager method of determining energy points in O+M may be surprised to learn that this is no longer how it will be done if the new rating systems are adopted. Instead, metered data are entered directly into the Arc platform via LEED Online. Arc then scores the project based on two metrics—greenhouse gas emissions and source energy. Points are tied directly to these scores. Additional rating system drafts will be released and go through beta as the year goes on—first the residential rating systems, then Building Design and Construction (BD+C) and Interior Design and Construction (ID+C). Baker could not provide dates for these releases. After that, a public comment period and ballot will follow. What have you noticed about the new draft? What are your thoughts? Please join the conversation in the forums on our v4.1 Tip Sheet!